The price listed here is the price you pay. No hidden charges. We provide 7 DeLuxe rooms and 2 Standard room, 8 of which with AC facilities (on request). Special arrangements for groups or family reunions, including use of kitchen, are possible on request. 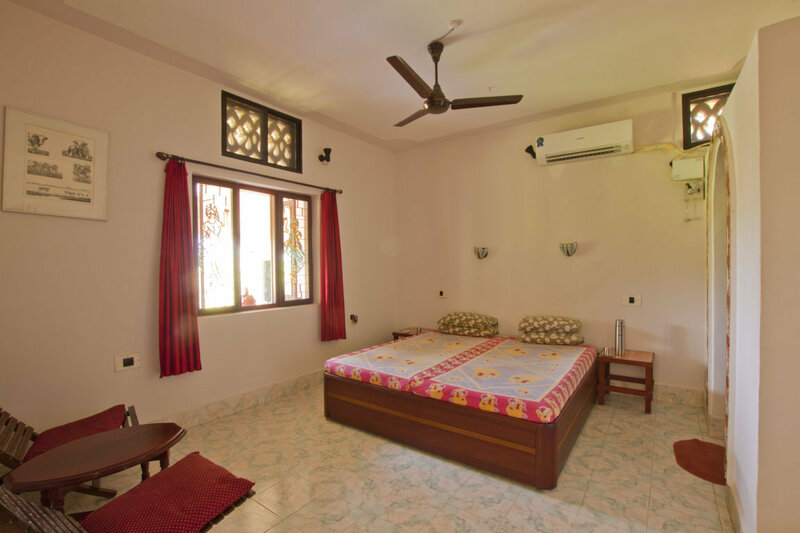 All rooms are large and have attached bathroom and a veranda. Free WIFI on the veranda and in the lounge. We accept domestic (Indian) Credit Cards and Debit Cards. Prices on request depending on number of persons.